The English Cemetery in the Portuguese fortress-town of Elvas is little-known and deserves to receives more visitors. 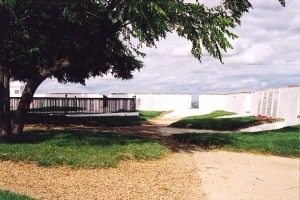 The cemetery can be found in the bastion of São João da Carujeiro on the eastern wall of the fortress. Left: Grave of Maj.-Gen. Daniel Hoghton. Above: The English Cemetery at Elvas. 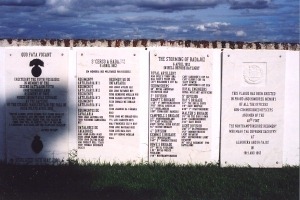 Click to enlarge Above: Memorials to the battalions which fought at the Storming of Badajoz, 6th April 1812. 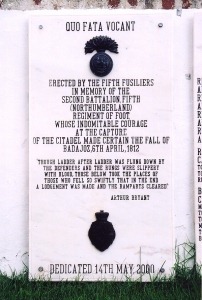 Above: Memorial to the 2nd Battalion, 5th Regiment. 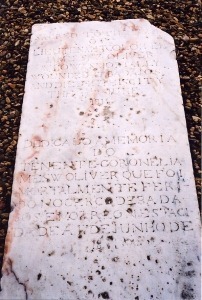 Click to enlarge Above: Grave of Lt.-Col. James Ward Oliver, 14th Portuguese Line. 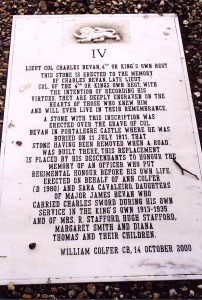 Click to enlarge Above: Memorial to Lt.-Col. Charles Bevan, 4th Regt. Above: Memorials to the battalions which fought at the Battle of Albuera, 16th May 1811. Click to enlarge left or right. 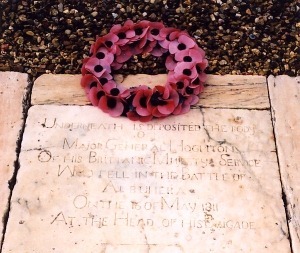 Official website of the Friends of the British Cemetery at Elvas.